UK rockers, Band of Skulls, are touching down in Aus later this month as part of their latest tour, celebrating the release of their third LP, Himalayan. We had the pleasure of speaking to Emma Richardson from the band, ahead of their arrival. How are you? You’re in the States at the moment, correct? Good. Yeah, we’re here a little longer, and then we come to Australia. We’re so excited. It feels like it’s been ages. Yeah, 2012 was when you were last here. What’s the most appealing thing about touring in Australia? We love it. It’s amazing to travel half way around the world and people knowing your songs. Did you ever think your music would be so far reaching? Not at all. I don’t think anyone ever assumes anything. But it’s great to be on our third album and have people still be really into our music. I know people who might not have heard your music and they hear the name and they’re like: “Band of Skulls? That sounds like the name of a metal band.” Where did the name come from? Well it’s a mixture. We used to call our club night Club Skulls, back when we used to run a night. And then also, because there’s three of us in the band and we’re all songwriters, we’re putting our three heads together so it’s a band of skulls. This all started back when you were in college. When did music become the focus of your careers and not the degrees and studies you were undertaking? To the detriment of our marks at school, the band sort of became the focus right from the start. It became clear that this was going to be the main thing we were going to do, and then everything else was just stuff we had to get through. Personally, for me, I do keep the outside stuff going. I try to juggle both. You’re a visual artist on the side as well. Not only have you contributed to the band’s cover art but you’ve also been very successful with your own art shows. Hypothetically, if you had to choose either visual art or music to solely continue for the rest of your life, which would it be? Hypothetically, music. Right now, it’s great to be able to make music and know that I still have my art to fall back on. You started making music in 2005 but it wasn’t until 2009 that we saw the release of your first album, Baby Darling Doll Face Honey. What were some of the reasons for that first major release taking the time that it did, and what were some of the challenges you faced along the way? It’s like they say, you have your whole life to write your first record and we didn’t want to waste that chance. We had them written and rehearsed and we wanted to take the time to make them perfect. And you know, it takes a while to get a label and the financial backing to release it and the money to tour it. So yeah, it took a while, but when that process is done, it rolls on pretty quickly. We were straight back in the studio making our second album, and here we are, touring the third. It takes a while to kick off, but when it’s on the roll, it’s on the roll. We just go with the flow of it. Having three songwriters in the band, does that speed things up? Or does it slow things down having different ideas coming from everywhere and having to make those ideas work together? It definitely slows things right down. But I think it’s a good process. The album becomes more diverse as a result of that. We get the best ideas coming through and they get pushed forward and onto the record. I think it’s a healthy for the composition and it gets the best out of each of us. That diversity does shine through. Baby Darling Doll Face Honey was hugely successful because of that, but it was also criticized for it. Some critics thought the album was too janky or that it was a mish mash of too many styles. Is that kind of feedback useful, or does it just stifle creativity? We weren’t being experimental to the point of putting an electro song alongside an operatic musical. We’re a three piece rock band. There’s quiet songs and there’s loud songs. There’s people being critical and there’s people being complimentary. At the end of the day though, we just get together and we do what we do and that’s what comes out. We’re not going to change who we are based on that feedback. I remember in an interview, Emma, you said that one of the biggest challenges that comes with being in a three piece, is to make music that sounds like it’s from a band with more than three members. Has there ever been any consideration to adding a fourth or fifth member? That’s always something to consider, but I think it’s more exciting with just the three of us. We’ve known each other for such a long time and played music together for ages. It gives us a connection. We all know what’s going to happen and how the other person is going to behave, so that gives us great freedom to play around and to really push ourselves and our performance. I think if we got someone new into the mix it would throw us. I don’t think it would work that well. Himalayan, your latest album, came out earlier this year. You’ve had some space from the initial release. How do you feel about it? I think everyone is really proud of it. We’ve come up with some great tracks. It moves on from Sweet Sour in a good way. It feels like more of a fun record. And your favourite song off the album? It changes all the time. At the moment, I’d probably say “Cold Sweat”. Himalayan and Sweet Sour haven’t quite gained the same amount of traction amongst fans as your debut album, despite being, arguably, more polished efforts. Why do you think that is? I think when a new band releases a record it gets everybody excited. And you can’t capture that again really. We’re not a new band anymore. We’ve been around and we’ve toured. People’s reactions to your work are going to change. But that’s a good thing. You never know what you’re going to get. Out of the three, what’s been your favourite? This one. We’re always about the latest thing. So as you’re soon to touch down in Australia, who’s your favourite Aussie act? The Birthday Party, back when Nick Cave was in that band. And what’s the one album every music fan should have listened to? Definitely Help! by The Beatles. 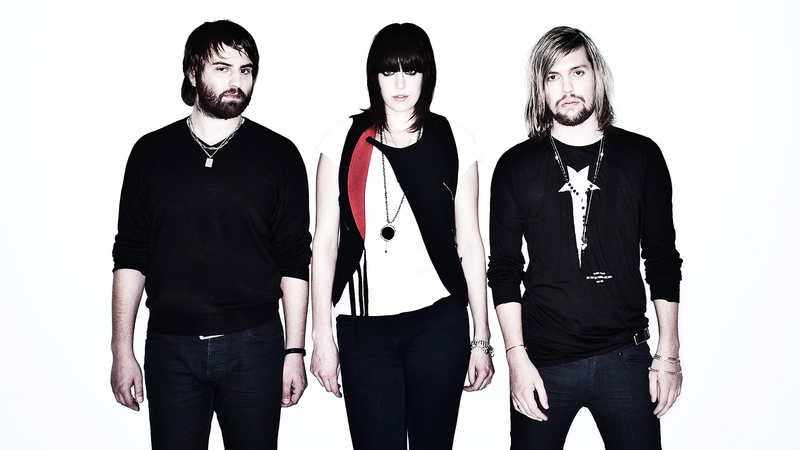 Band of Skulls are touring this month. Tickets via Secret Sounds and available here.